Mercedes were fastest in both Friday practice sessions at the Spanish Grand Prix. 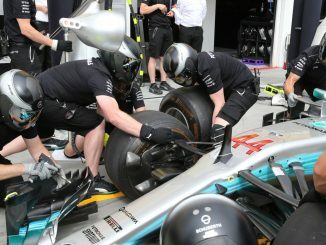 Valtteri Bottas set the pace in the morning, completing the fastest time of the day with a lap of 1:18.148, before Lewis Hamilton topped the timesheets in the afternoon on the soft tyre with 1:18.259. Daniel Ricciardo managed just 11 laps in the first session before running wide and hitting the wall, damaging his front wing. 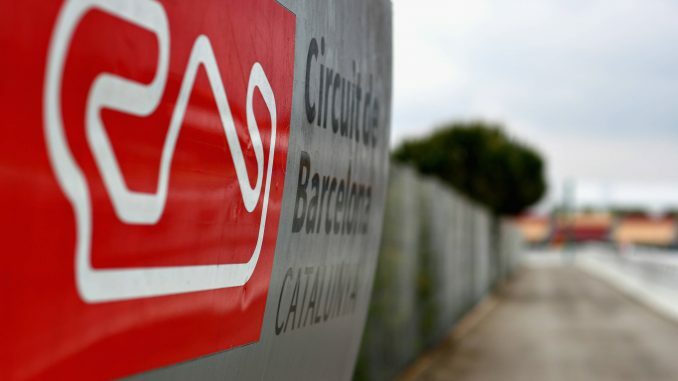 The Red Bull driver wasn’t the only one struggling to keep the car on track in the windy conditions at Circuit de Catalunya, with Romain Grosjean, Valtteri Bottas and Marcus Ericsson among those also exploring the run off areas and gravel traps. Ricciardo fared better in the afternoon to finish second in P2 behind Hamilton and ahead of teammate Max Verstappen, despite Ricciardo using the soft tyre compared to Verstappen on the supersofts. 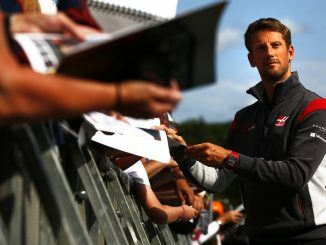 Both Red Bull drivers showed strong pace during their race simulations, which bodes well for the team for Sunday’s race. Grosjean had further problems in P2, spinning before getting stuck in the gravel, while Kimi Raikkonen missed most of the afternoon’s running after an engine problem forced him to coast back to the pitlane. Despite Grosjean’s struggles, he finished the session 7th after coming 8th in P1, bettering teammate Kevin Magnussen in both outings. Sebastian Vettel was almost a second slower than Bottas in P1, but closed the gap in the afternoon, finishing just over 0.3s adrift of Hamilton’s time. 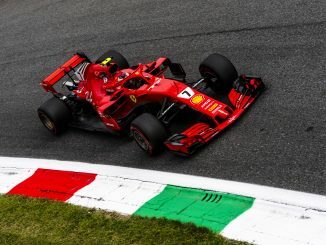 Raikkonen couldn’t match his teammate’s time, but was still sixth fastest despite only completing 16 laps. Ferrari have arrived in Barcelona with a new mirror design, attaching the mirrors to the halo. The new design appears to have caught the attention of the FIA, with Race Director Charlie Whiting spotted taking close up pictures of the mirrors ahead of P2. Many teams arrive with new parts in Spain, with McLaren bringing possibly the most anticipated changes. With the 2018 car finally ready for its full debut, Fernando Alonso looked strong in the morning, beating the time Ricciardo set before his crash, but the Spaniard was unable to match the performance in P2. Stoffel Vandoorne was consistent, finishing ninth in the standings in both practices. Renault appear to have work to do, as it looks like Nico Hulkenberg and Carlos Sainz will be struggling to make it through to Q3 based on today’s pace. The duo were almost three seconds adrift of Bottas in the morning, while Sainz remained over 2.4s behind in P2. The issue of unsafe releases from the pits returned after Sergio Perez was forced to pull to the side of the track with what appeared to be a loose front left tyre. It was an otherwise solid session for the Mexican driver though, as he ended P2 in 10th, just 0.06s quicker than teammate Esteban Ocon, who recovered after struggling to find pace in the morning. Robert Kubica was in the car in the morning for Williams, taking over Sergey Sirotkin’s seat for P1. Despite having not taken part in a race weekend since 2010, the Polish driver outperformed teammate Lance Stroll, posting a lap time almost 1.3s quicker than the Canadian. Sirotkin was back in the car for P2, but both Williams cars looked well off the pace, finishing as the slowest two cars in both sessions. Having finished sixth in Baku two weeks ago, Charles Leclerc made a confident start to the weekend, finishing 12th in P1. However, the Sauber rookie slipped down the leaderboard in the afternoon to end the day 16th, one place behind Ericsson in the sister car. It was a similar story for Pierre Gasly at Toro Rosso. He completed the top 10 in the morning, but dropped down the order in P2, although he was comfortably quicker than Brendon Hartley both times.